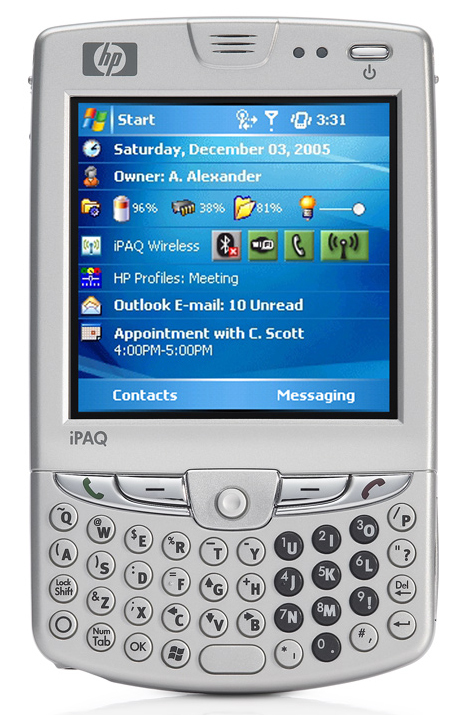 Home > Computers and Internet, Gadgets, Mobile Phones, Technology > HP iPAQ hw6900 Unveiled….. This is w.r.t my last post in which I posted about Motorola Q Phone. Now when I came across this HP iPAQ hw6900 I started liking this much more than the Motorola phone primarily because of the huge display it offers. hmmm…. now I am in love with this phone. This damn good phone features a 416Mhz Intel processor. You know my first computer was only a Pentium II 350 Mhz. I wish it had a 262k colour screen but anyways it doesnot matter much. Find below the features of this phone. For more detailed info please visit the above mentioned link. Previous post: Kodak’s Bluetooth Enabled Camera Unveiled….